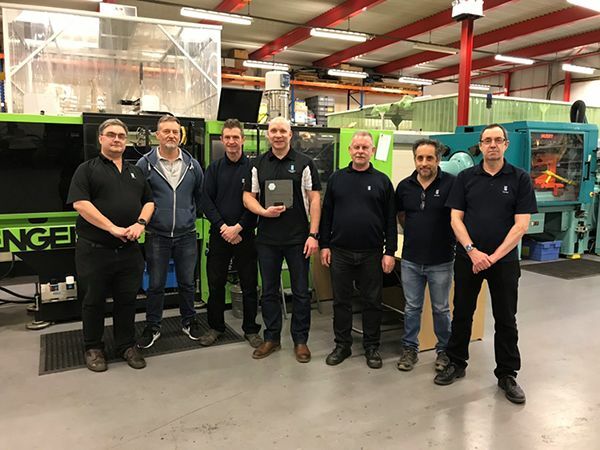 RJG Technologies are pleased to announce that they have been named for the second consecutive year as the Best UK Plastic Injection Moulding Consultancy. They were nominated for the award following a phase of voting on the GHP website, in the third annual Pharmaceutical Manufacturing & Packaging Awards. Following the nomination, the GHP in-house research team collated information about RJG from a variety of sources and presented this to the judging panel. Year upon year medicine and health care organisations work with dedication and drive to ensure they are able to offer the best service possible to their patients. However, it is often forgotten that behind the scenes companies and individuals are working hard to develop clean, safe and innovative products to encase some of the world’s most vitally important items. “It is great to receive this award for a second year and reinforces the accomplishment of our team here at RJG Technologies. It represents the hard work and dedication the team provide to our clients on their projects and initiatives. “We work with many blue-chip clients in the Pharmaceutical Manufacturing & Packaging sector, as well as with entrepreneurs developing a product for the sector. “In the last 12 months we have supported a number of products from part development into industrialisation and mass manufacture. The majority of the work we undertake around the world with designer engineers and manufacturers is sensitive and highly confidential as it is usually associated with new product development that can be two to three years away for product realisation. We have acquired a reputation for respecting this that we are very proud of. The criteria for meeting this award was extremely wide and involved being seen as an outstanding consultancy, which demonstrated innovation, a commitment to excellence whilst also creating innovation in the production process, which has a measurable effect on the market in which we operate. GHP Magazine announced the winners of the Manufacturing and Packaging Awards 2019 on 21st March and said, “as the medical packing market continues to rise, GHP wish to acknowledge and commemorate the perpetual hard work undertaken within this industry with our Manufacturing and Packaging Awards 2019. To find out more about these leading lights, and discover what has led them to becoming who they are today, please visit http://www.ghp-news.com/ to access the winners’ supplement.